History of bilateral relations between Indonesia-United States (U.S.) has been studied from many aspects of economic and military cooperation. Study on 30 September 1965 incident, for example, focused on the role of U.S. intelligence and political interests and the larger U.S. economy in Indonesia. 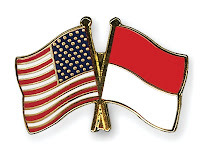 US-Indonesian cooperation in the field of education is very important to carve history that has not been much studied. In the 1950s and 1960s, the U.S. is represented by various public and private educational institutions to provide expert assistance, financial and infrastructure change and direction of the education system in Indonesia, especially through teacher education programs. We see that the education process of de-colonization of Indonesia in the 1950s and 1960s at the same time also the process of Americanization. Reference quality (benchmarks) changed from continental European education systems (the Netherlands) to the Anglo-Saxon system (United States), among others, with the introduction of higher teacher education institutions. Like any form of whole U.S. educational assistance at the time and why the U.S. gave special attention to the development of primary education in Indonesia over the decades 1950s and 1960s? Why did the Indonesian government received U.S. aid for education teacher candidates while sending experts in agriculture, fisheries, industry, commerce, arts and sports to the countries of Eastern Europe?This research is about to answer the questions it. Data will be obtained via search the archives stored in the library of Cornell University and George Kahin Center in Ithaca, library, State University of New York at Buffalo, The Ford Foundation Archives in New York City, and the Library of Congress in Washington DC. Preliminary results of research will be presented at the Congress of Historians of Education Society in Cambridge, Massachusetts in November 2010.